A visit to Philadelphia his sophomore year at Princeton, and an unlikely friendship with three Quaker brothers, starts the young man on the path to question the morality of slavery. Though he's managed to avoid facing his parents, returning home for Christmas can't be avoided. Agreeing to assist with the Underground Railroad proves to be the biggest challenge he's faced in his 19 years, especially when he finds out that his assignment places him in direct conflict with his family. With assistance from an unlikely source, Fletcher works to right the wrongs that his family has perpetuated for generations. At just 112 pages, this is a very quick read. I received this as a gift in 1991. 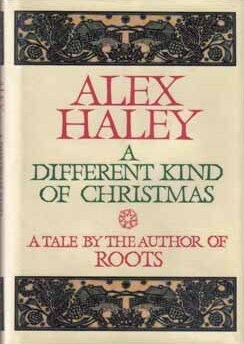 The detail given to characters like those that appear in other Haley novels is not as evident here. I suppose if it had been, the story would have been more memorable without re-reading it. Nonetheless, it was fairly enjoyable.